In animals with Addison’s disease, there is a deficiency of the corticosteroid hormones. It is often difficult for the vet to discover the direct cause of this deficiency unless the dog is taking medications that disrupt adrenal balance, such as Ketoconazole or Lysodren. Fortunately, the disease can usually be managed with the administration of corticosteroid hormones even if the cause of the deficiency is unknown. 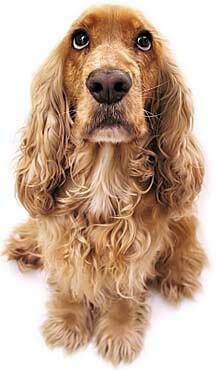 Patients are usually young female dogs (age 4-5 years). Though the disease occurs in cats, it is very rare. At first, signs are very vague – listlessness, and possibly some vomiting or diarrhea. Ultimately, the disease results in a phenomenon known as the “Addisonian crisis.” With this, the animal collapses in shock due to its inability to adapt to the caloric and circulatory requirements in stress. Blood sugar may drop dangerously low. Potassium levels soar and disrupt the heart rhythm because there is not enough conserved sodium to exchange for potassium. Heart rate slows arrhythmia’s result. The patient may not survive this episode. Addison’s Disease is a serious disorder, and can only be diagnosed by a trained medical professional. Proper testing must be conducted to determine which class of corticosteroidal hormone is deficient. There are Glucocorticoids which act on the mechanics of sugar, fat, and protein metabolism. Then there are Mineralocorticoids which influence the electrolytes: sodium and potassium. Once a proper diagnosis has been made, the disease is managed through the administration of a synthetic corticosteroid replacement, such as Fludrocortisone or Prednisone. It may be important to NOTE – that Addison’s, and the use of medications, is highly about maintaining a critical BALANCE within the metabolic realm: too far one way and you have an Addison’s condition, too far the other way and you have a Cushing’s condition. Listlessness, lethargy, decreased activity, vomiting, diarrhea, sudden collapse, slowing of heart rate. Supporting immune function can be extremely important to your dog under these circumstances, and may help lead to eventually having less need for medication. Therefore, Nzymes recommends the following – to provide all natural support for increased fundamental health.